What’s Behind the Xenophobic Attacks in South Africa? UPDATED April 25, 2019 11:48 am . 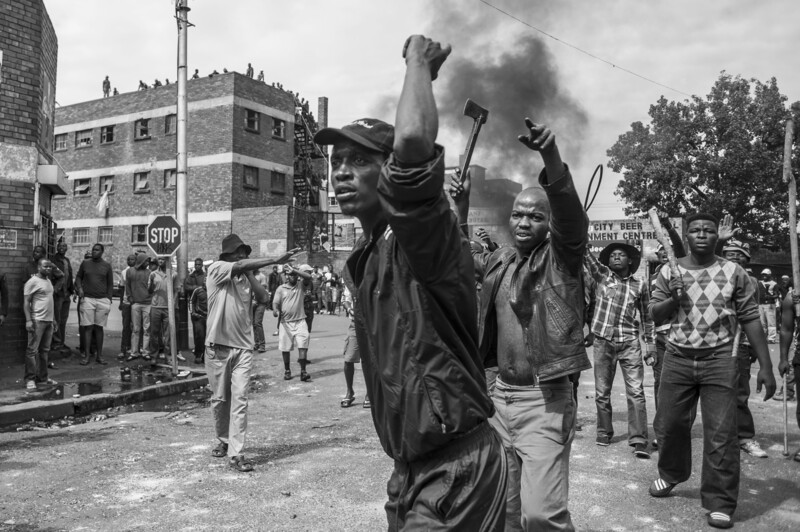 The soaring tension and xenophobic attacks in South Africa are, for the most part, a reflection of institutional failure under the ANC-led government coupled with misinformation and fear-mongering perpetuated by political hacks. By blaming foreigners and “undocumented migrants” for bringing crime to the country — an allegation that has been largely debunked on numerous occasions by fact-checkers — politicians and media outlets are stoking fear to keep the disenfranchised citizens at bay and arouse anger toward foreigners as the cause of the country’s numerous problems. In his essay Understanding the Roots and Consequences of Negative Attitudes toward Immigrants, Oksana Yakushko of the University of Nebraska – Lincoln defines xenophobia as a form of attitudinal, affective, and behavioral prejudice toward immigrants and those perceived as foreign. Not unlike other prejudices, xenophobia is a multidimensional and multicausal phenomenon. Xenophobia is intricately tied to notions of nationalism and ethnocentrism, both of which are characterized by belief in the superiority of one’s nation-state over others. South Africa has undergone dramatic changes over the past two decades. Notably, the end of apartheid, an institutionalized system of racial segregation and discrimination, and the change in government in 1994 when the African National Congress (ANC) came into power. The post-apartheid era sparked an exodus from South Africa. No longer a privileged class and with concerns about their safety, skilled white South Africans emigrated in large numbers to Britain, New Zealand, Australia, and North America. The white South African diaspora is estimated at more than 800,000 since 1995. In addition to a fundamentally changed demographic, the post-apartheid era is characterized by a serious debt burden. It took years for the post-apartheid government to repay the debts of the former regime. At the same time, the HIV/AIDS epidemic took its toll, both on mortality and on the country’s finances. With the world’s highest prevalence of HIV/AIDS, South Africa had an obligation to provide expensive antiretroviral treatment to millions of impoverished HIV/AIDS sufferers. While ending institutionalized racism is a good thing, South Africa’s poverty rate is actually higher than it was before apartheid ended. According to an article on ForeignAffairs.com, Apartheid’s Long Shadow, about 47 percent of South Africans lived in poverty in 2015 — and unemployment was at 25 percent. Meanwhile, the South African mining industry has had its share of woes culminating in strikes and riots, one of which, 2012’s Marikana massacre, is considered a seminal event in South Africa and one of the worst shootings of civilians by authorities in the post-apartheid era. This wasn’t an isolated incident of civil unrest. Protests are common – and bloody. In 2014, roughly 80 percent of protests in South Africa were said to involve violence either by participants or authorities. With its changed demographic, a huge government debt burden, the worst HIV/AIDS epidemic in the world, crushing poverty, sky-high unemployment, and violent protests, South Africa is facing serious challenges that have been brewing for decades. And now, we have a new challenge, or shall we say, scapegoat? Foreigners. According to Africa Check, a non-profit organization that promotes accuracy in Africa, media outlets and politicians have played a major part in upping the false narratives surrounding foreigners in South Africa. The report further stated that a television program, Cartel Blanche, recently claimed that one-third of Malawi’s population had immigrated to South Africa. Another report by Africa Check stated that some recent act of violence against immigrants can be traced back to a remark made by the mayor of Johannesburg, Herman Mashaba, who claimed that undocumented migrants were bringing crime to South Africa. 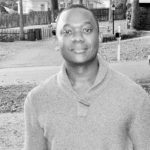 An article in the VOA, Fake News, False Info Stokes Xenophobia in South Africa, says that a polarizing statement by the founder of the South African First Party, Mario Khumalo, that the country had 13 million immigrants, many of whom are criminals and child soldiers, had to be refuted by fact-checkers. When pressed for the source of his allegation, he couldn’t provide a jot of truth to support his claim. By then, the effects of words and action were already felt. In a society where it’s hard to separate an untrue article with satirical intent to that of an actual news outlet, these false narratives are usually echoed on social media, which in turn permeate to a hungry and angry populace – the segment of the country that is hell bent on finding anything that aligns with their feigned perception toward foreigners. By extension, these politicians are baiting the disenfranchised public into believing that their effort to effect policy and change is hampered by the high influx of immigrants and undocumented migrants who are taking jobs away from South Africans. Here, we have a suffering population looking for both change and someone to blame. They’re buying whatever the politicians are selling – whether it’s real or not. Solving the problem of misinformation requires educating the masses. Africa Check offers a factsheet offering several tips for spotting fake news. According to an article on BBC.com, the French newspaper, Le Monde, has had a fact-checking unit for many years and recently developed and released a web extension called Decodex that warns users when they land on a known fake news site. Algorithms are being developed to help reign in other algorithms that identify and subsequently amplify trending (and often untrue) stories. That’s a start. But let’s not stop there because stopping fake news is only stopping one of the mediums feeding xenophobia. What else is feeding it? Socio-economic issues like high unemployment, extreme poverty, income disparity, authoritarian abuses, civil unrest, and an unskilled, unemployed workforce. What else? Politicians who want to deflect blame or placate a disenfranchised constituency. South Africans have good reason to be angry, but their anger is being misdirected by the problem of fake news and their leaders’ willingness to use it.